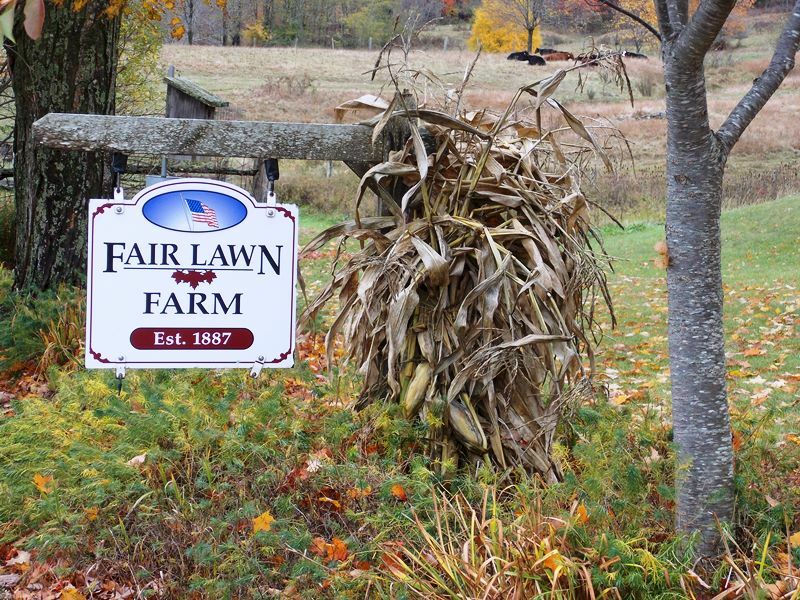 If you left Fairlawn Farm this weekend and weren’t in the fall mood, there’s not much more that could be done because it doesn’t get much better than all the activities offered by Highland County’s Sheriff Tim Duff and his wife Terry. 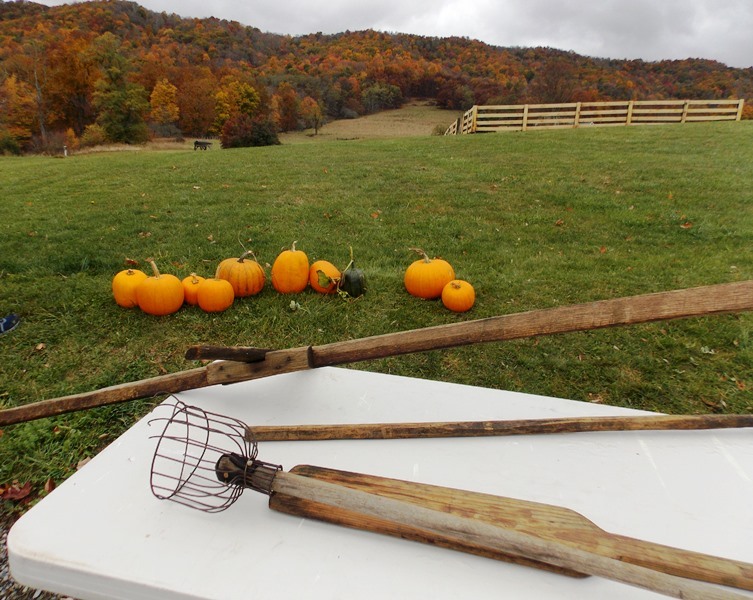 They were celebrating autumn in a big way with friends and visitors at their farm just south of Monterey near Mill Gap and, just as he does during March’s Maple Festival, Tim was teaching the old ways from the past by using vintage equipment with a little help from his friends. 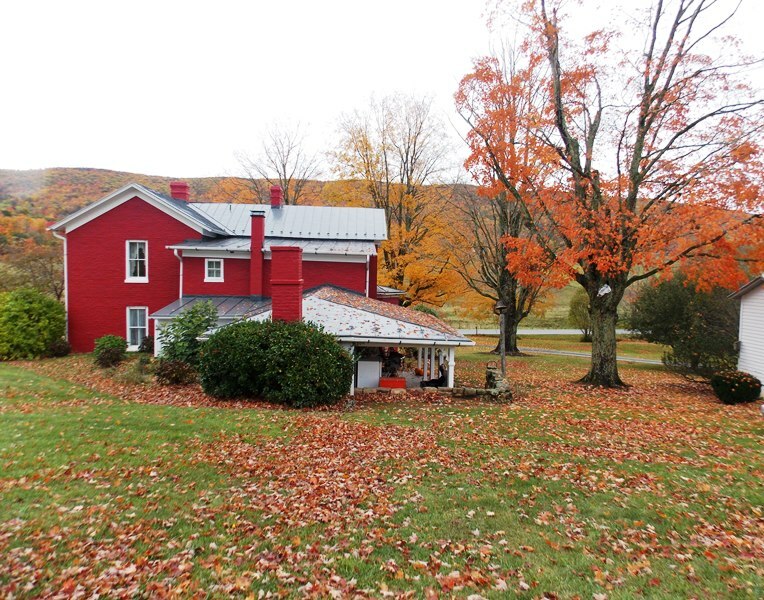 Opening their farm to family, friends, neighbors, and visitors is a tradition for the Duffs, and this time of year the already beautiful location is exceptionally spectacular with the changing color of leaves on the surrounding mountains. 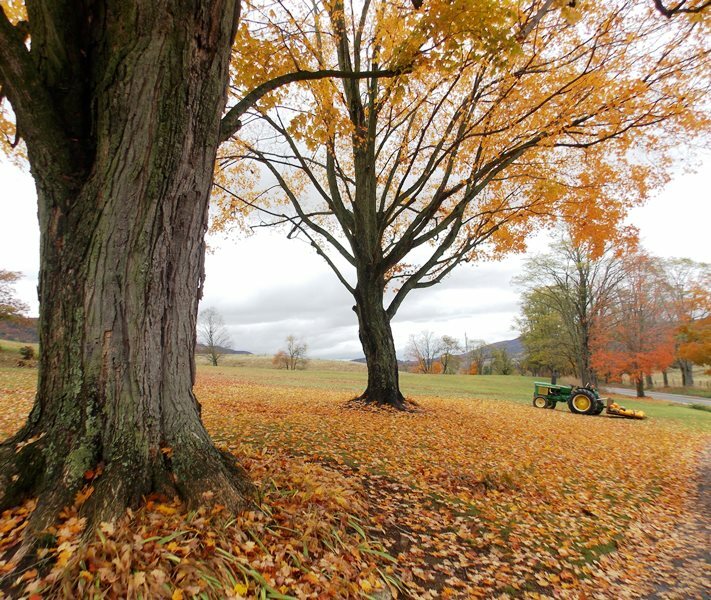 Leaves that had fallen from trees in the rain and high winds of the past week displayed a colorful palate on lawns and along road sides. 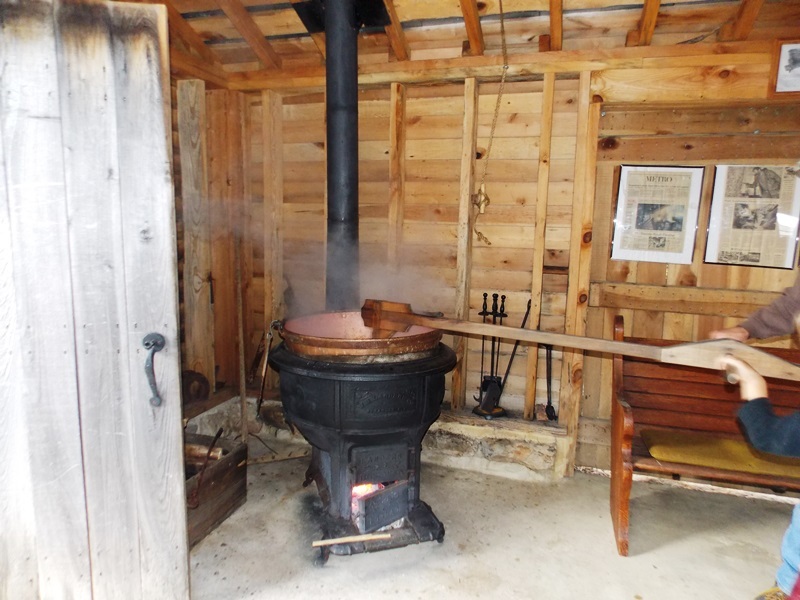 The Sugar House on the Duff farm was the center of activity during the weekend for making apple butter inside while outside they were pressing apple cider and smoking trout. 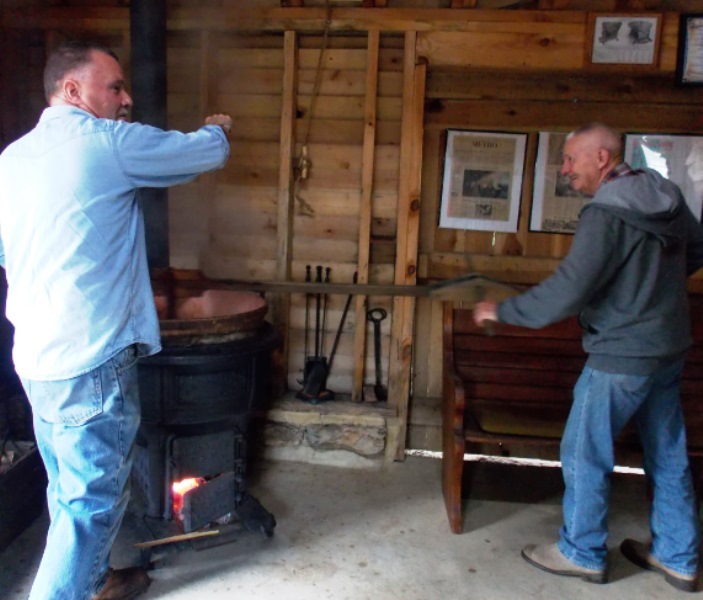 Tim Duff (left) skims the cooked-down apples while a friend stirs in the copper kettle. 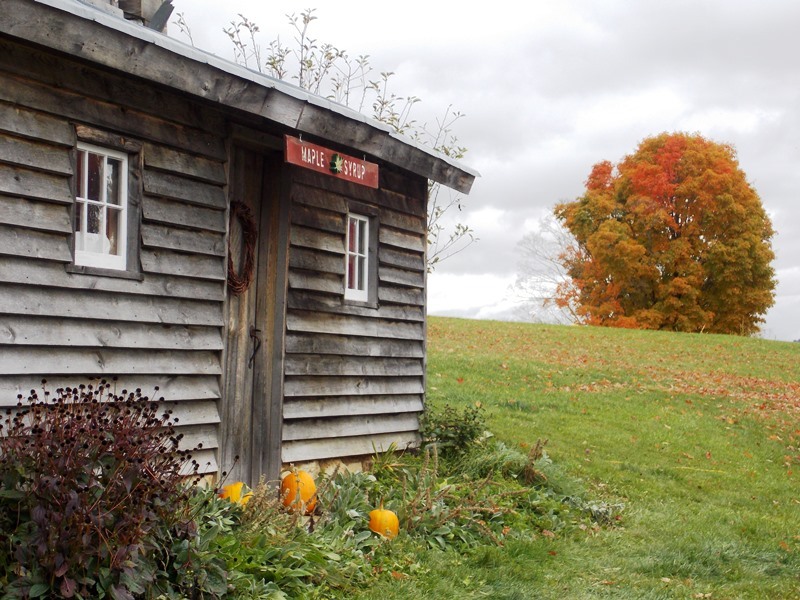 At sunrise almost eight bushels of apples started cooking over the wood fire and by 1:00 on Saturday afternoon, it was down to apple sauce consistency. By 2:00 the spices would be added to the apples and they would continue cooking for another hour or two until at apple butter consistency. 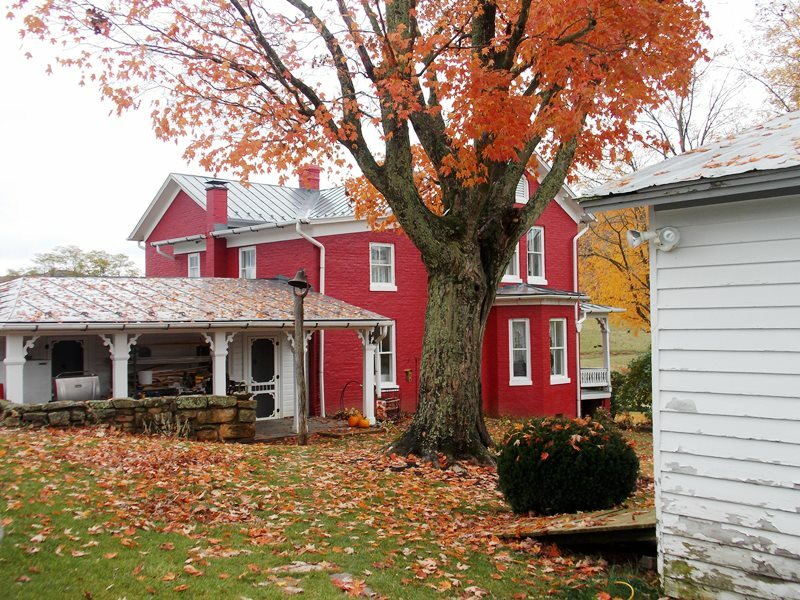 In the bottom of the kettle was a silver dollar which helps prevent the apples from sticking but not just any silver dollar — it was an 1887 silver dollar, the same year that the house at Fairlawn Farm was built. 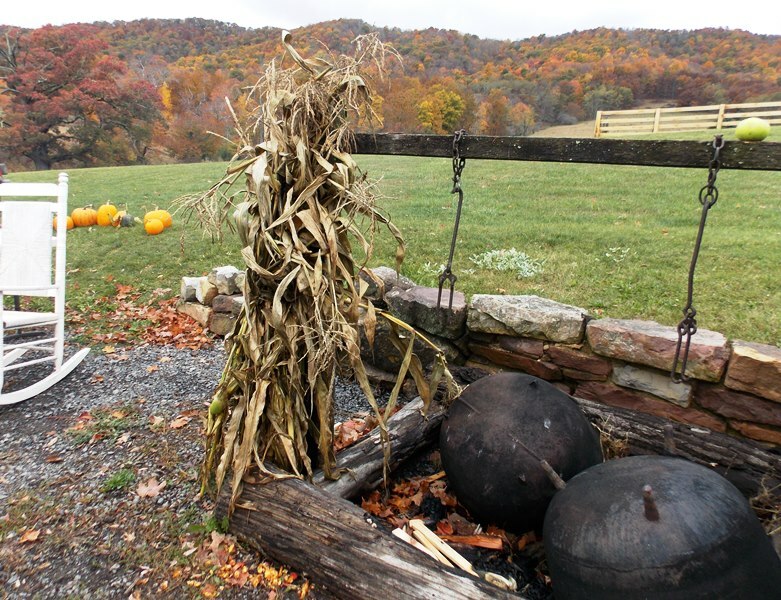 There are many recipes and methods for cooking apple butter, a number of them passed down through the generations. Here is one. 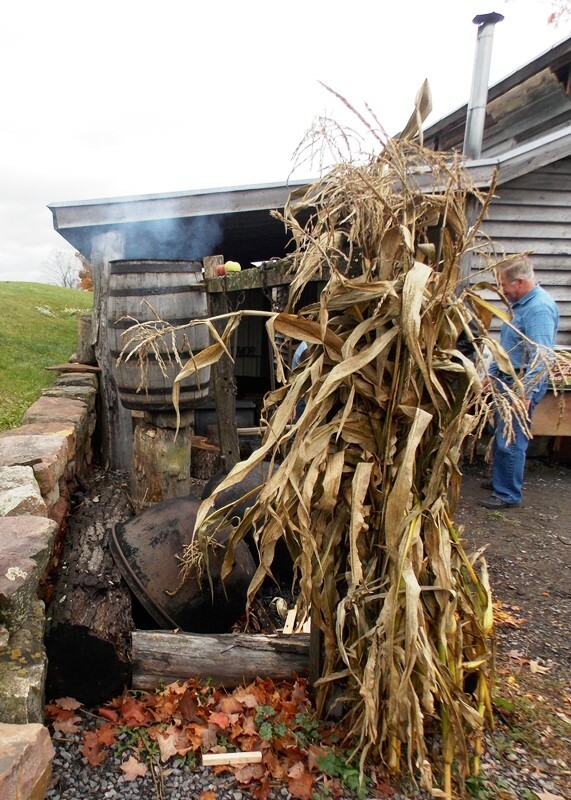 Young hands helped with stirring while we were there … perhaps the next generation to pass along yesterday’s traditions. 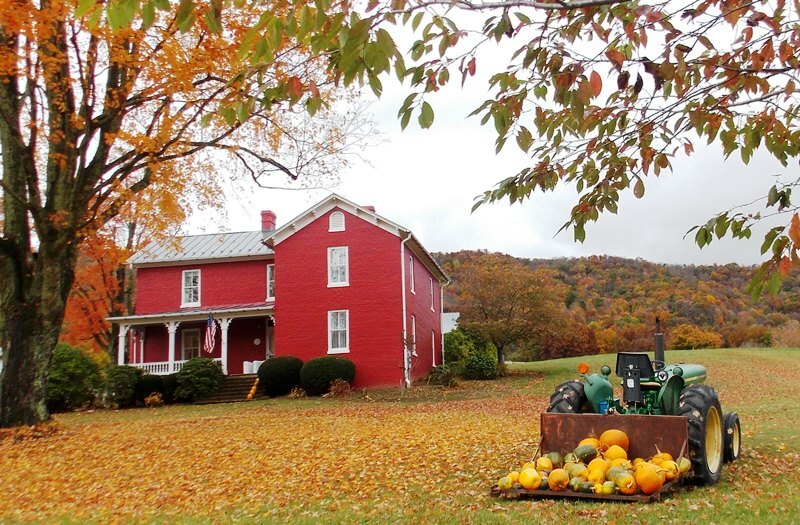 I remember watching my grandparents making apple butter at their home in Chesterfield County, a tradition they carried with them from their home in Grayson County before leaving to find work in Richmond. They had the copper kettle that was hung over a wood fire and the long-handled paddle for stirring. Between that and their Brunswick stew cooked outdoors in a huge kettle, it was some of the best stuff I’ve ever eaten. 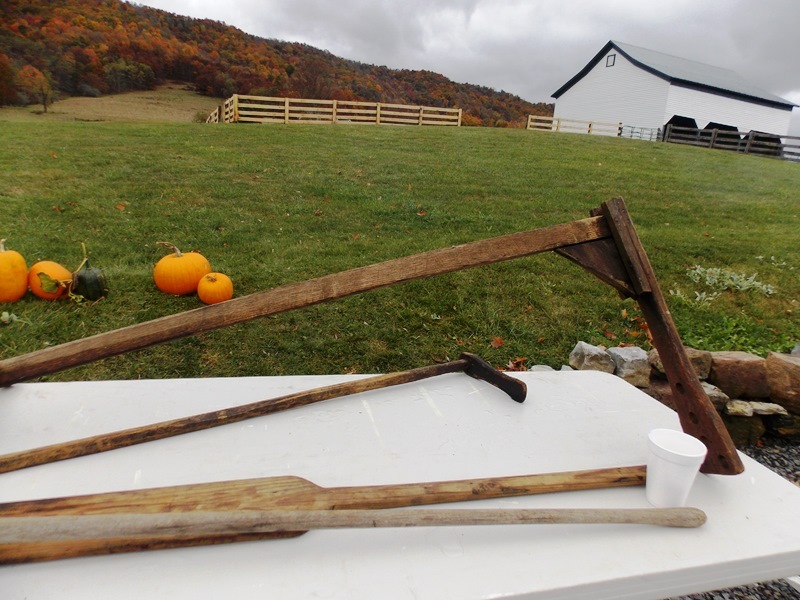 The large and small wooden paddles are for stirring, specifically apple butter. Ever seen trout smoked this way? 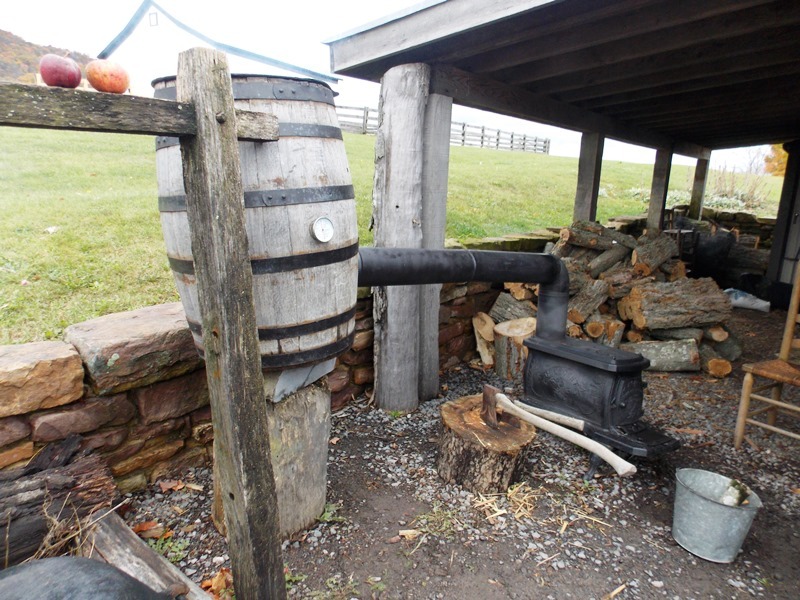 Wood is placed in the woodstove to the right, and the wooden barrel is the steam with a thermometer on front. Inside were smoked trout, smoked venison, and smoked cheese. 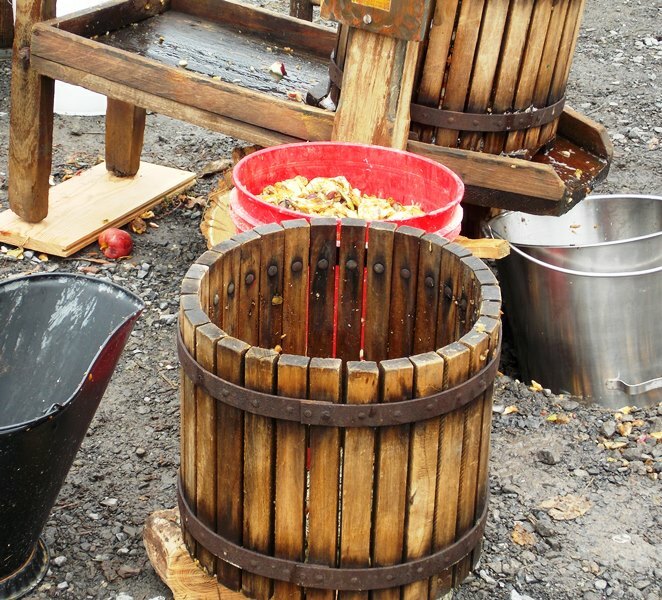 As fast as one gentleman could halve an apple with a knife and drop it into the barrel, the other turned the cider press wheel and it crushed the apples causing juice to exit from the bottom and into the bucket. 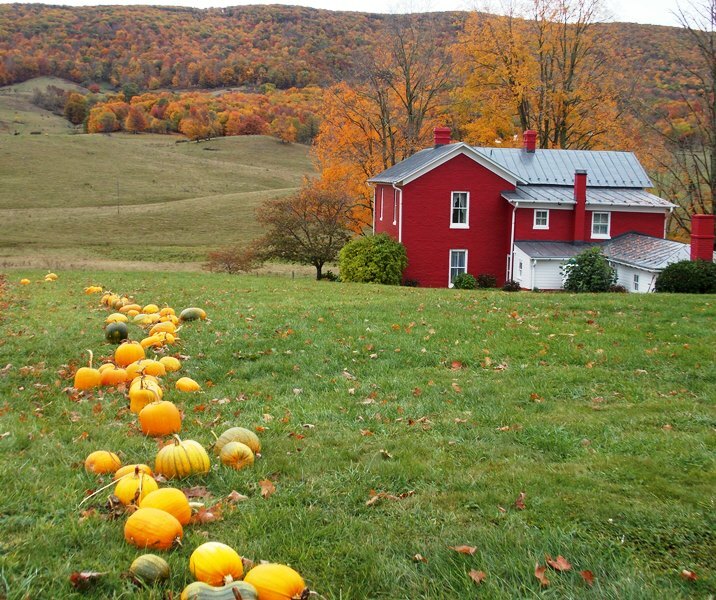 In the past, it took a lot of work to make some of the cool, refreshing beverage from Virginia’s seasonal fruit. 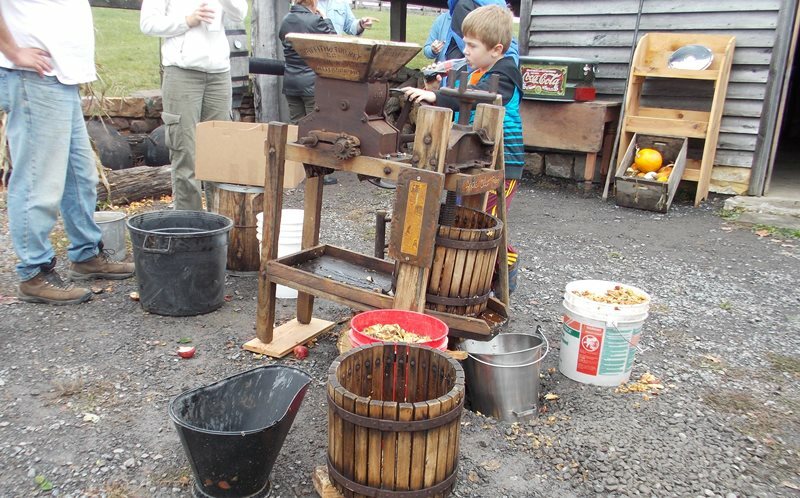 See instructions on using an apple cider press here. 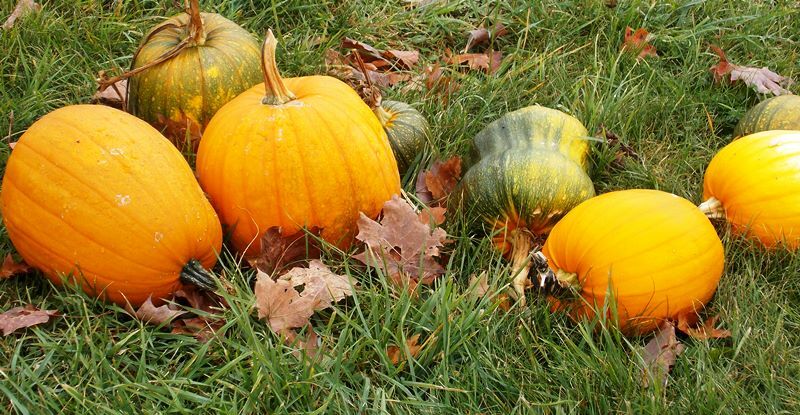 Pumpkins and gourds from the patch had been harvested which prevented little feet from having to slog through mud (it had been raining for a few days). 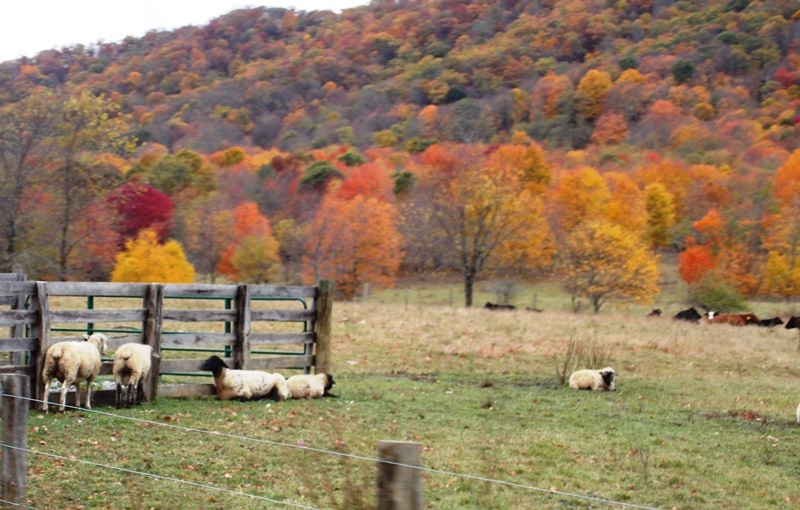 We were surrounded by God’s colorful palate. Even though most leaves were past peak, they were still beautiful against the overcast sky on a misty, cool autumn day. 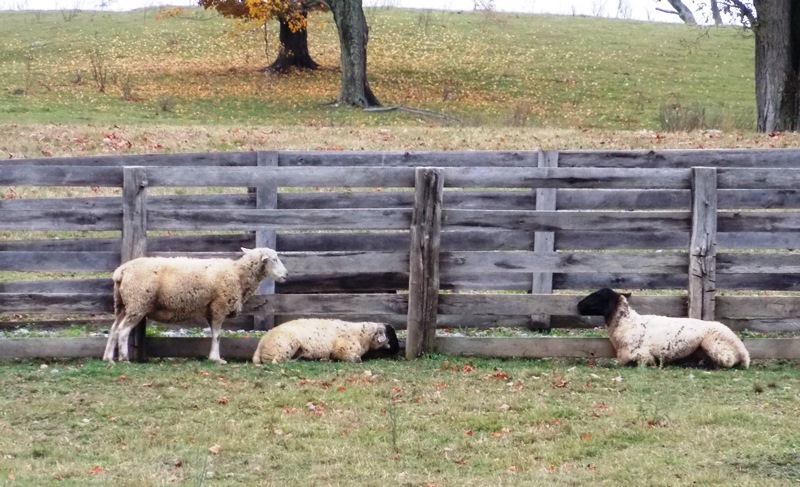 The resident sheep were taking it easy and watching as folks came and went. 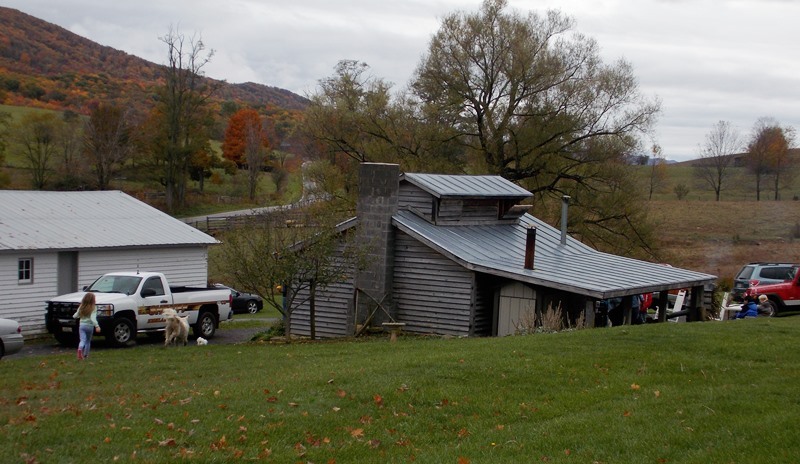 We visited Highland County three times in less than two weeks, following fall from the western edge of the county to its eastern boundary with Augusta County. 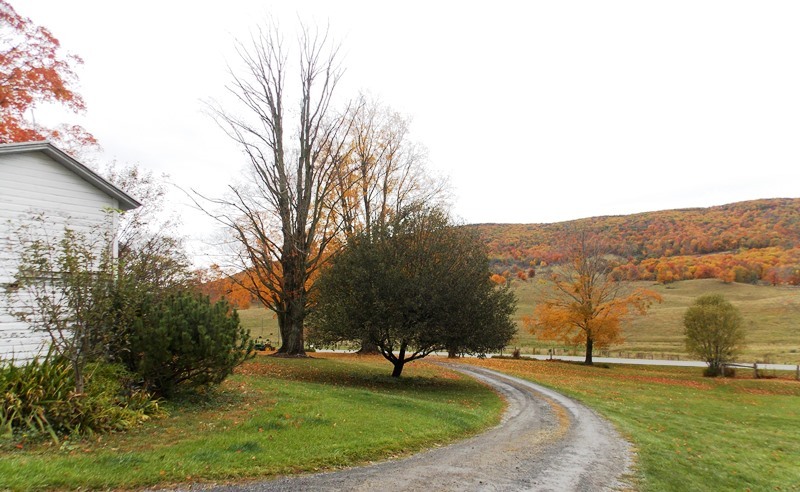 The thrill of catching the sugar maples at peak was something I’ll never forget, a scene straight out of New England. 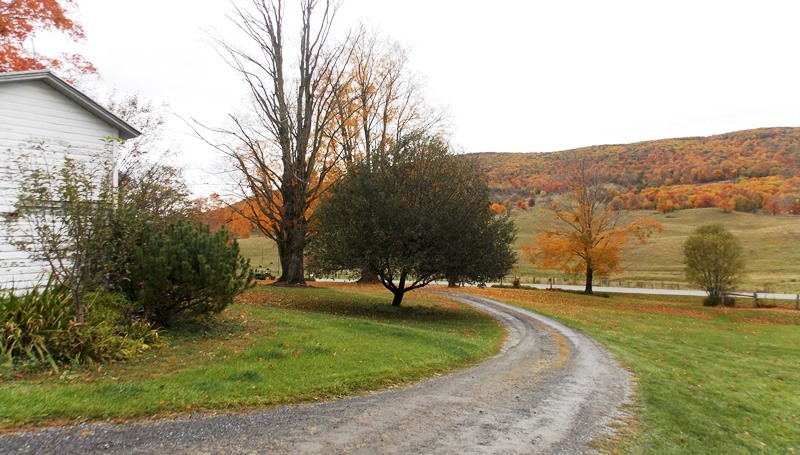 (See Highland County: The quiet beauty of driving over Jack Mountain, October color and back roads in Virginia’s Highland County, Evelyn’s Pantry is hometown deli on Monterey’s main street, Finding autumn in Highland County, Va., and Full color in western Highland County. Many thanks to the Duffs for their hospitality. Tim’s friendly, jovial demeanor is always welcoming as he greets visitors and friends alike, and his passion for keeping the forgotten arts and skills of the past alive is appreciated. We’ll be back in the spring when the sugar water begins to flow. 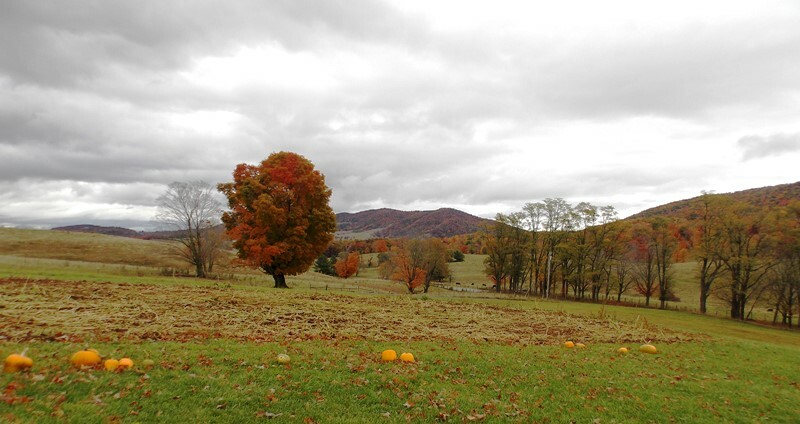 Fairlawn Farm, Highland County, Va.